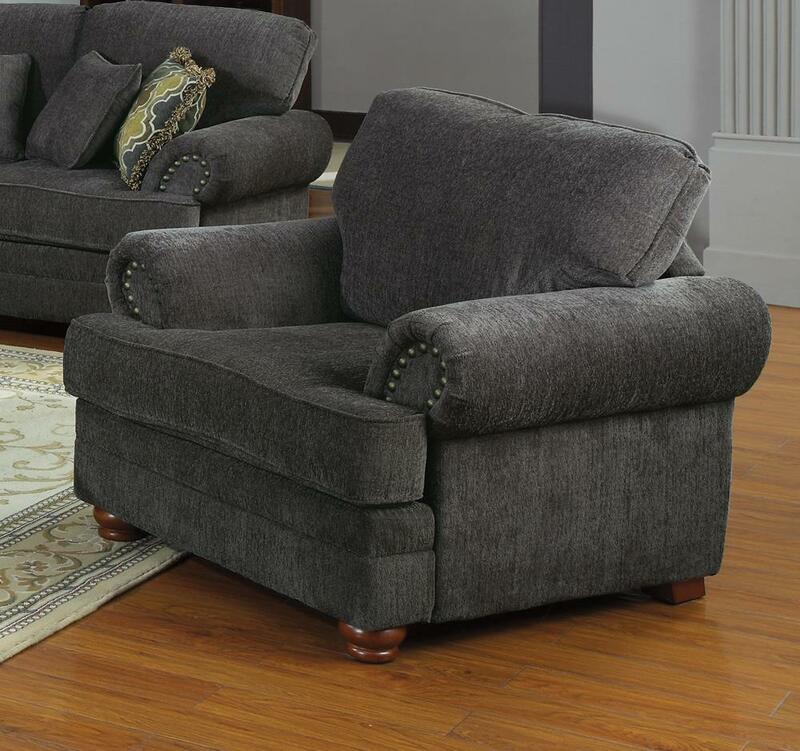 Width : 41" - 45"
The Colton Smokey Grey Chair is not to be passed up by those who seek traditional style with classic details married with elegance. This classic furniture features a tailored look complete with thick rolled arms, t-style back and seat cushion, welted trim and nail head accents. 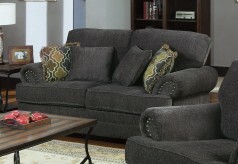 Constructed with a Kiln dried hardwood frame, sinuous spring base seating, pocket coil seat cushion and polyester fiber filled back to ensure a uniform soft back that won't sag. 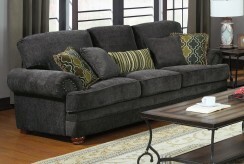 The soft durable smokey grey chenille is paired with decorative turned bun feet and nail head accents to complete the traditional look of the Colton collection. 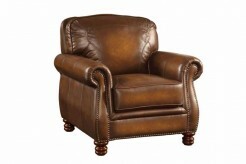 Furniture Nation is proud to offer the Colton Smokey Grey Chair online. We serve customers across the DFW region including Arlington, Weatherford, Dallas and many more. L43" x D36" x H41"